Merry Christmas banners can help you spread holiday cheer while you promote an upcoming sale or event! Inspire others in your community to be excited for "the most wonderful time of the year" with custom Merry Christmas banners. These can be used for a wide variety of applications as you share just about any message you wish - promote holiday sales, offer information on extended holiday hours, or just to wish your customers and your community a Merry Christmas. Some of the best marketing tools are banners, and Happy Holidays banners can serve both as banners and decorations. BannerBuzz features a huge variety of cheery, colorful templates and banner designs that appeal to people of all ages. You'll want to take advantage of this opportunity for your business to increase your advertising efforts - Merry Christmas banners are likely to grab more attention if they have a timely message and are located at your storefront or in a high-traffic area. Share your holiday cheer in your neighborhood with Christmas banners that feature Christmas trees, Santa Claus or snowmen! Are you planning a big holiday party or a special family dinner for Christmas? 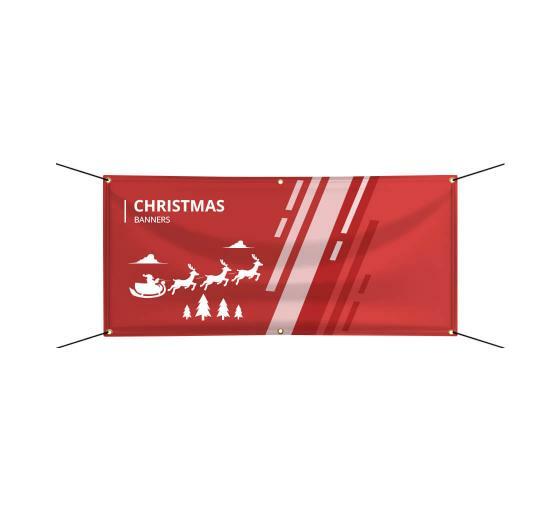 Greet all of your guests with a beautiful, durable and colorful Christmas banner from BannerBuzz and start the party off right this holiday season! Whether you choose from our templates of pre-made Christmas banners or you prefer to design and create a unique custom banner for the holidays with our web application, our design and printing staff members will deliver a high-quality banner. You can also request a free art proof prior to printing to ensure that everything you want in a banner is included in your design! Banners with holiday themes are ideal to add as décor for your home. Churches often order Christmas banners to add to their festive décor for the season. Businesses benefit from using them to advertise holiday sales and special events. The possibilities are endless! Our banners are printed with 1000 dpi imaging, which means you'll enjoy a high-quality banner that looks as great as it performs, spreading your message of holiday cheer to all who see it. Why Choose BannerBuzz for Your Merry Christmas Banners? BannerBuzz is one of the largest online retailer of banners and signs, and we have a wide selection of options available to ensure that no matter what you're looking for in Happy Holidays banners, you'll get it. Our banners are made to last, and we guarantee our work. We also offer a price guarantee. If you find your Happy Holidays banners somewhere else online, we will beat that competitor's price by 10%. 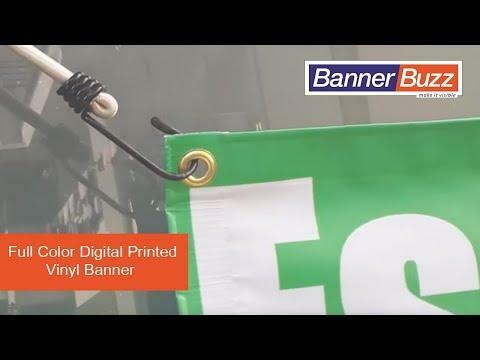 We offer free proofs for you to examine before your banner is printed, and we can either create a banner for you from one of our templates or you can design it yourself - we can also help you design it, every step of the way. Contact BannerBuzz today and let's discuss your indoor and outdoor Christmas banner projects!